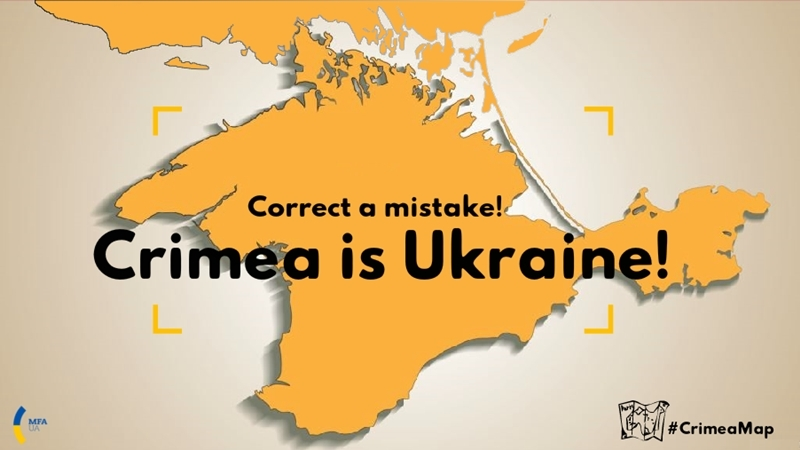 The Foreign Ministry of Ukraine also offers an instruction for those who have noticed the incorrect designation of the Crimea, and want to correct the mistake. The Ministry of Foreign Affairs of Ukraine launched the second phase of the project "Crimea on the world map", dedicated to navigation systems and products. The project monitors the designation of the occupied Crimea on electronic and printed maps, Facebook reported. “Dear friends, we deeply appreciate your active involvement in the #CrimeaMap campaign in which we monitor the incorrect depiction on electronic and printed maps of the Autonomous Republic of Crimea which was occupied by Russia in 2014. We have already experienced a number of success stories when the improper mapping of the occupied peninsula was corrected”. MFA notes that they want to pay particular attention to the correct mapping of the Autonomous Republic of Crimea in navigation systems and products that time. The Ministry offers the instruction for those who has found the improper depiction of Crimea and want to correct a mistake. “The more information you provide, the easier it will be to formulate a claim to the respective company. We are gathering all the facts of improper mapping and will instruct our Embassies to contact the central offices of the respective companies asking them to bring their maps into compliance with international law and UN Resolution № 68/262 of 27 March 2014, which confirms Ukraine's territorial integrity within internationally recognized borders”. Earlier, the editorial office of the Polish radio Rzeszów (Polskie Radio Rzeszów) apologized and corrected materials on the website where they had previously posted a map of Ukraine without the Crimea.